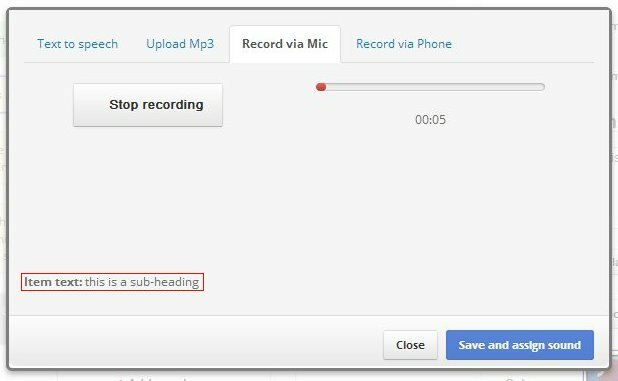 To record your own voice using a Microphone you can select "Record via Mic" option for any active item. 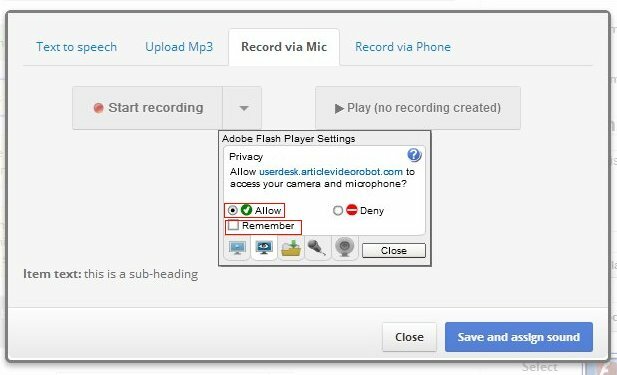 When you press "Start Recording"button to start your voice recording session for the first time, you’ll see a dialog asking your permission for recording. To start recording you must click the allow button. Also we highly recommend that you should check the remember option, so that you need to provide your consent every time. After you consent your recording will start. Please note that the Item text is shown at the bottom of panel, so that you can easily read it out easily. 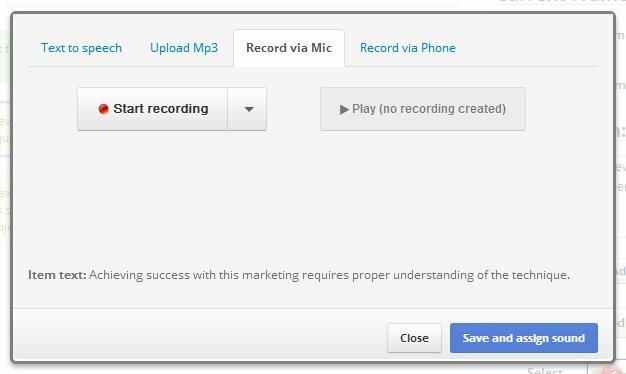 Once you are satisfied with your recording you can press the "Save and assign sound" button to finalize the recording. 1,029,337+ marketing videos created by 114,692 article marketers From top Internet Marketers to small business owners, everyone uses and recommends Article Video Robot!